Turner-owned kids’ network Boomerang has acquired a CGI-animated adventure comedy series produced in France and Belgium and distributed by UK-based Cake. Mush-Mush & the Mushables (52×11′) will air internationally on Boomerang, in addition to Turner Kids channels Cartoon Network, Boing and Pogo in select markets, from 2020. Created by Flemish artist Elfriede de Rooster, the series comes from France’s La Cabane Productions and Belgium’s Thuristar in coproduction with Cake. 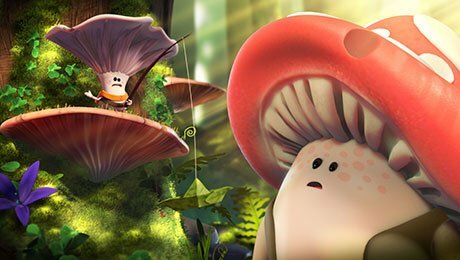 It follows a community of loveable mushrooms and their funny adventures. It has also been pre-bought by Canal+ and Piwi+ in France; VRT-Ketnet and RTBF-OUFtivi in Belgium; RTS in Switzerland; and RTL Telekids in the Netherlands. It is produced by Perrine Gauthier and directed by Joeri Christiaen (My Knight & Me).